The word Reiki (pronounced Ray-key) is composed of two Japanese words Rei and Ki which can be best translated in English as Universal Life Energy. It is a natural healing technique that uses the laying on of hands addressing body, mind and spirit. It can accelerate the body’s own ability to heal physical aliments and opens the mind and spirit to the causes of disharmony, pain and disease. Reiki actually finds its origin in Tibet in an ancient Buddhist practice that was later rediscovered in the 19th century by a Japanese physician named Mikao Usui. After this rediscovery, Dr. Usui spent the rest of his life practicing and teaching this method of natural healing, which involves attunements to the energy and the laying on of hands. 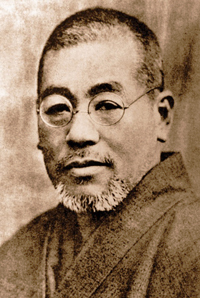 The Usui system of Reiki continues to be taught today by Reiki Masters who are trained in the original tradition of Reiki passing on the techniques from Masters to students. Reiki has a powerful but gentle energy that has been used to aid in healing virtually every known illness of mind, body and spirit. It does NOT replace conventional allopathic medicine but rather compliments the healing process. Reiki is deeply relaxing and creates a sense of well being which increases the rate of recovery. A Reiki session usually last from 45-60 minutes, it is safe and non-intrusive and the recipient remains fully clothed. During the session, the practitioner directs healing energy to several areas of the head, upper body and back. Reiki affects each person differently, but it will always act wherever the receiver needs it the most. The Reiki practitioner is not doing the healing, but he/she is simply channeling energy from Higher Intelligence. The receiver’s willingness and acceptance determines the progress that can be made. 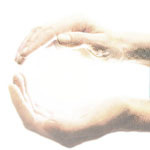 Since Reiki is defined as a spiritually guided life force, the practitioner cannot control it. Rather it is directed by our highest Spiritual Source. Reiki is a non-denomination practice that can be learned, practiced and received by anyone regardless of age, race and religious beliefs.